Commoditization is a macroeconomic phenomenon that is a characteristic of a maturing marketplace. Radiology, and specifically its reimbursement, currently is in the throes of commoditization. In the past decade, physician reimbursement has declined, and the radiology market now focuses more on cost. Radiology consumers—which, in different ways, include patients, referrers, hospitals, and insurers—each determine the best service. In an increasingly commoditized market, radiology practices find themselves competing primarily on price. Simply put, radiologists must make the transition to become mature businesses, responding to increased competition and pricing pressures. This obviously has far-reaching implications. 1. How does my practice reach out to patients? Factors such as quality and service aren’t the main focus for many radiology consumers. Patients have a hard time distinguishing quality among different radiology providers because a radiologist doesn’t receive the same level of clinical differentiation in most patients’ eyes as do their primary care physician or gynecologist. This reason alone should drive radiologists to define their clinical quality and customer service for consumers. Communication in the radiology industry really boils down to educating the consumers, who often are unaware of the value of a high-quality radiology provider. It is difficult to educate patients about health care services given their intangibility. By the same token, consumers often lack the time and money to shop around. Therefore, it is critical that radiology groups define quality and then follow through with actionable differences that will keep consumers coming back. 2. Who are my gatekeepers and how well do we serve them? Referring physicians are incredibly important to the business of radiology because they still are gatekeepers. Radiologists can best communicate with referrers by offering a radiology report that gives data to referring physicians in a way that makes the quality differential easy to understand and utilize. When radiologists give an interpretation, then they must make sure they get it directly to the referring physician in a comprehendible medium instead of leaving it to someone else. Indirectly, referrers know about your customer service to patients, too. If their patients have trouble with exams at your imaging facility, referrers will learn about it and refer their patients somewhere else. 3. How can my practice differentiate itself from competitors? There really are two major differentiators: service to the consumer and accessibility. Customer service translates to ease of use in radiology. If a woman wants to purchase a book, she can either buy it in print at the bookstore or wait for it to ship from an online retailer, or turn on a tablet and buy it electronically with the click of a button. Such simplicity can bring about service-oriented changes that drive consumers to a business, and in today’s increasingly consumer-driven health care marketplace, that will be an increasingly important component. Radiologists rarely see patients whose studies they read; that lack of accessibility will be another critical issue for them. While it’s not fiscally feasible for radiologists to spend a lot of time with patients, imaging practices can use other methods to communicate with their patient base. For instance, websites can help educate patients and prepare them for exams. Technologists also can be instrumental in linking the patient with the radiologist because the technologists can explain a lot of details to a patient in lieu of the radiologist and provide a personable level of customer service that radiology practices often lack. 4. Which metrics should my practice improve? Any metrics used to measure quality must be clearly defined. Those metrics may include read accuracy, turnaround time, and price. The metrics should consider the service being provided since some reads may require a quicker turnaround time than others, particularly those for an emergency department. Groups first must define the metrics then determine how they will best educate patients, hospitals, and referring physicians on the metrics that matter most to each of them. 5. How does teleradiology fit into this new macroeconomic phenomenon and my practice’s situation? Teleradiology practices have leveraged economies of scale to bring rock-bottom prices to their customers, which often are hospitals. 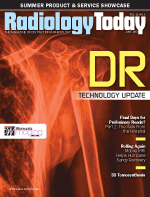 Radiology practices also have a hard time differentiating themselves from teleradiologists, specifically at the hospital level, because the groups often employ teleradiology groups for their own needs to conduct off-hour reads on nights and weekends. Again, the focus often shifts to the price of the services rather than quality. 6. How can IT assist my practice, analyze data, and improve profitability? When leveraging IT tools, a practice must regard its own needs as well as those of its referrers and patients. Radiology practices can deliver granular, easy-to-understand reports that are more convenient and pertinent to referrers. Electronic delivery enables the inclusion of key images, which can even allow referrers to link back to the full images for those who want access to them. Good service also can be translated as a correct interpretation, but delivering an accurate interpretation in a usable format is even more valuable. Radiologists traditionally have focused heavily on improving their own productivity and revenue, historically being more sophisticated in IT than their medical peers. In today’s world (and tomorrow’s), radiology practices need to prioritize their IT investments so they also address the needs of patients and referrers. However, improving profitability still should be considered equally with increasing quality and efficiency. 7. What happens if my group doesn’t mature with the industry? Radiology practices that fail to mature in a maturing marketplace may not survive. The time has passed where practices can operate loosely and focus less on cost than on revenue. Cost containment is critical for survival. Additionally, radiologists themselves must change their culture to work in this new age of consumer-driven health care. To get patients and referrers, radiology groups must not only contain cost but also provide education and stellar customer service. You can deliver great quality, but if you do not define, measure, and communicate it, health care buyers may not know your group and employ your services. — David A. Myrice, CPA, MBA, is director of practice management and practice administrator with Medical Management Professionals.